You could write a whole book on Franchising….and quite a few people have. What we have tried to do here is just give you an outline about some things that are consistent across most, if not all, franchise systems and then explain why we at Car Care do what we do. If you want to know more we are happy to recommend a couple of books on the subject. At Car Care we offer a ten-year term divided into two five-year periods. This provides both parties an exit strategy should things not be working out, for whatever reason. If both parties choose to continue, they will enter in to another agreement for the next five years at a cost of $110.00 + Legal Fees. At the end of ten years we will again offer an extension at the above cost should both parties wish to continue. It is worth noting here that at the end of the first five years you can choose not to renew for any reason, whereas we would need to have reasonable grounds for not renewing. Very few companies offer a renewal at the end of the full term – in our case ten years – at no cost. Why do we do it? We are of the opinion that if you have operated your franchise in a professional manner and met all your contractual obligations, we would be stupid not to continue that sort of relationship. To use the leasing analogy again – if you owned a house and rented to a great tenant who paid their rent on time and looked after the property why would you want to move them out? So, we have established that a franchise is a license to operate, for a given period, a system that has been developed and tested to achieve a given set of results. Once you start operating your franchise business you will be required to pay a number of ongoing fees. This is probably the biggest area of misunderstanding that exists between Franchisee and Franchisor. From the franchisees perspective they can see these fees as unjustifiable “I’ve bought the business so why do I have to pay monthly fees to operate it”? From the franchisors side they have a number of costs in order to keep the business moving forward – web sites, advertising, franchisee support, technology, compliance etc. There is a great book by Greg Nathan called the Franchise E-Factor that sets out to explain this process. If you are not a big reader we have set out below the essence of the process a franchisee goes through. While the Franchise E-Factor framework incorporates these three types of relationships, as you will read in the following chapters, it has six stages briefly described as follows. As you read them you will see why it was logical for me to name this progression, The Franchise E-Factor. Glee: The franchisee is somewhat nervous about their new venture but is also excited and optimistic about the future. Fee: The franchisee starts to become sensitive and concerned about the value of the fees being paid to their franchisor or the costs of services or products received. Me: The franchisee concludes that their success is due mainly to their own effort and plays down the contribution of the franchise system. Or if they are struggling they play down their own deficiencies. Free: This stage is characterised by the franchisee’s need to demonstrate his or her competence and assert their independence, thus testing the franchise system’s boundaries. See: Through frank and open discussions the franchisee and franchisor better understand and respect each other’s points of view. 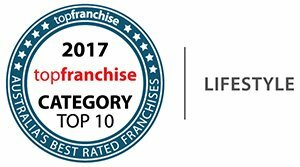 We: The franchisee recognises that success and satisfaction come more easily from working with, rather than against, their franchisor. Ultimately, the relationship is one of interdependence and mutual respect, where both parties gain from the relationship. The Franchising Code of Conduct is a mandatory industry code across Australia that regulates the conduct of franchising participants towards each other. Franchising Code of Conduct commenced and replaced the old code. provides a cost-effective dispute resolution scheme for franchisees and franchisors. a mediation procedure for disputes.